Découvrez et écoutez la « Sélection #50 » de Musical Echoes avec un Mix Strictly Vinyles réalisé par AlexDub du Culture Dub Sound… Une seconde sélection Stepper Dub allant des années 90′s aux années 2000 avec de pures releases d’une période exceptionnelle de l’Histoire du Dub, Play It Loud ! Tracklisting : 1- Gregory Isaacs featuring Macka B : « Mister Cop » / Doctor Dread « Mister Cop Wicked Dub Version » (12’’ RAS)2- Tez-Fa-Zion : « Suffer The Little Youth Them » / Twinkle Riddim Section : « Dub version » (7’’ Twinkle Records)3- Martin Campbell : « Go To Pray » / Hi-Tech Roots Dynamics : « Praying Dub » (7″ Jah Works)4- I’n’I Oneness meets The UK Players : « Further » / « Further In Dub » (7’’ Jah Works International)5- Culture Freeman : « Skadroponics Style » / Hydroponics : « Skadroponics Style Dub » (LP Dubhead)6- Shako Lee : « None A Jah Jah Children » / Phillip Leo : « Run Yu A Go Run » / Reprobates : « Jah Jah Dub » (10’’ Fashion Records)7- Kenny Knots : « Going Home » / Bush Chemists : « Dub » (10’’ Conscious Sounds)8- Barry Issac : « Man Of The Centry » / Reggae On Top Allstars : « Man Of The Century Dub » (7’’ Reggae On Top)9- Jah Warrior : « Babylon Shall Fall » / « Tumble Down Dub » (7’’ Jah Warrior)10- Hughie Izachaar : « Ganja-Smuggler » / Barry Issac : « Ganja Dub » (7’’ Reggae On Top)11- Mixman : « Afrocentric Millenium » / « Afrocentric Millenium Pt. II » (7’’ BlakAMix)12- Errol Bellot & The Offbeat Posse : « It’s War » / Jah Tubbys : « Dub » (10’’ Jah Tubbys)13- Culture Freeman : « Meditation Rock » / Jah Warrior : « Meditation Dub » (LP Jah Warrior)14- Disciples : « Fearless Dub Pt 1 » / « Fearless Dub Pt 2 » (10’’ Boom Shacka Lacka)15- Iration Steppas : « Kilimanjaro Version » (LP Universal Egg Records).Tous les mois, Musical Echoes vous propose deux sélections 100% vinyles : l’une roots/digital et l’autre reggae/dub/stepper, plus actuelle. Ce mois-ci, c’est Alex Dub qui revient pour la part 2 d’une énorme sélection dédiée aux années 90 et au début des années 2000 (écoutez la part 1 ici) ! Activiste de longue date, Alex Dub a créé Culture Dub dès 2001. Selecta, programmateur, producteur, ce dubber infatigable officie désormais aussi aux commandes du Culture Dub sound system. 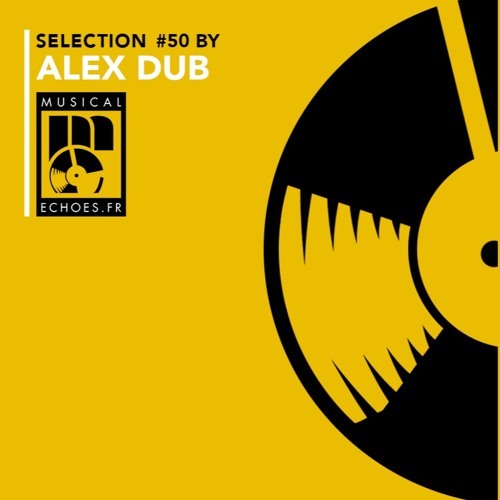 Url raccorcie de la page "Musical Echoes Selection #50 – AlexDub, Culture Dub Sound – Strictly Vinyls Dub Mix from 90 to 2000 part 2 !" à copier et à partager sur le web.